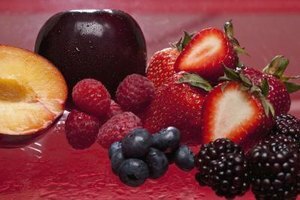 Using fresh fruit is a tasty way to add nutrition to a dessert. 3 What Desserts Go Well With Chicken Tikka Masala? Dessert is a beloved part of the after-dinner ritual for kids and parents around the world. However, dessert is also a dangerous area when it comes to empty calories and rivers of refined sugar. Juggle between delicious and nutritious, using whole grains instead of processed, and real fruit instead of canned, for a dessert the whole family can enjoy. The oatmeal topping on this fresh fruit dessert adds fiber to the treat, helping make it healthy and tasty. Fresh or frozen, any "pie" fruit is suitable for the crumble. Try apple, peach, cherry, blueberry or mixed berry crumble. Sprinkle the fruit compote with an oatmeal, cinnamon and brown sugar mix. Once the dessert is golden and bubbling, your family sweet is ready. Cut down on the sugar in the dessert by replacing the brown sugar with honey or agave nectar. Garnish each serving with light frozen yogurt instead of traditional ice cream to keep the fat content down. Broiling fresh fruit brings out its natural sugar and enhances its flavor. Soft fruits, such as bananas, mangoes and peaches, work best for the warm treat. Slice bananas in half lengthwise and place on a cookie sheet. Sprinkle each slice with cinnamon and a little brown sugar. Broil the slices and garnish with chopped walnuts for a healthy dessert. Try sliced mango drizzled with lime juice and garnished with coconut flakes for a tropical treat. Sprinkle peach slices with nutmeg and honey and garnish with light whipped cream for an old-fashioned sweet. Low-fat pudding is a quick and healthy dessert selection for when your family is craving something creamy and cold. Select instant pudding and the dessert can literally be ready to eat in five minutes. However, plain pudding can also quickly become a boring treat. Use fruit and light whipped topping to turn the plain dish into a dessert worth drooling over. Layer light chocolate pudding, sliced strawberries and light whipped topping in clear glasses to create rich parfaits for dessert. Sprinkle light vanilla pudding with fresh raspberries and lemon zest for a refreshing and tangy treat. Add a small dollop of light whipped topping and garnish with a lemon slice to dress up the dessert. 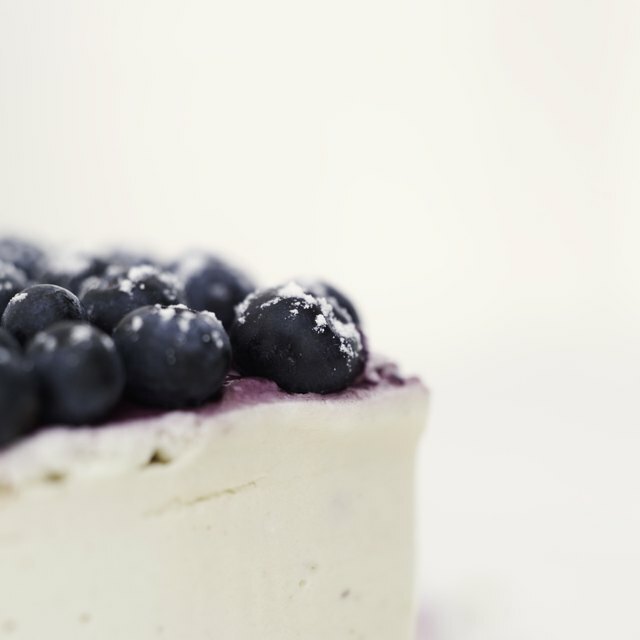 Spring and summer are the ideal time for refreshing fruit desserts, but not the ideal time to spend in a hot kitchen. Skip the oven and throw together a fruit and dip dessert for your family instead. Slice apples and serve with a low-fat caramel pudding for a healthy version of the classic carnival treat. Sprinkle sliced strawberries with a little sugar to serve with a lemon yogurt and honey dip for a tangy sweet. For a sweet and savory combination, serve sliced fruits with a creamy blue cheese dip.